Are you ready to launch your own subscription service? In 2017, the gap between cable versus online streaming services fell to a record low. According to a Pew Research Center study, traditional TV consumers were 59% of the market, while online subscription services crept up to 29%. If you break it down by age—particularly the 18-29 category—the numbers are even more alarming: 61% of users watch with an OTT service and only 31% still subscribe to traditional cable. Don’t be astounded by this complete reversal of viewing habits—it’s the future of video content sharing, and it’s coming fast! From Netflix to Amazon Prime, Hulu to YouTube, OTT services have completely disrupted the established flow of content consumption, with creatives breaking past the traditional roadblocks and heading straight for the consumer. Viewers no longer need cable to watch their favorite shows, and companies don’t have to rely on advertisements to generate income. However, even over-the-top giants like YouTube have their problems for a new creator looking to promote their work. Not only are the gatekeepers of these hosting services getting more steep when it comes to payout, but customization options are also extremely limited. How can you build your brand on a platform you don’t own? 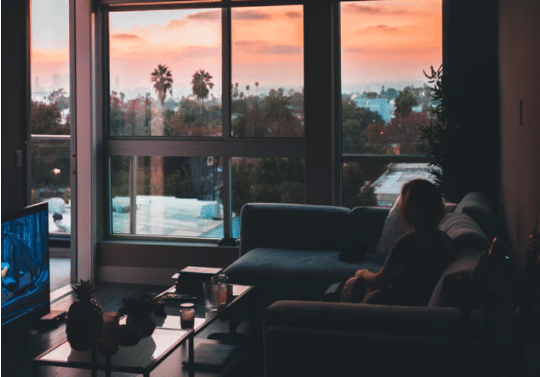 It’s really difficult to do, which is why the evolution of OTT is quickly progressing toward personalized streaming services. What businesses, local organizations, and creators can benefit from their own streaming service? When your goal is to showcase unique video offerings, expand your brand through breakthrough online media, and appeal to niche markets and special interest groups, your best option is to create your own streaming channel or multichannel network. With everyone competing for content growth and opportunity, a personalized OTT service can be the most effective solution. You get all the content and branding control with your own service. Plus, you can customize the user experience and functionality of multi-screen delivery, VOD, live streaming, linear, and catch-up TV features, making you the master of your content. All the viewers stay on your channel when you host your own content. With your own apps, you’re at less risk of moving your audience away from your product. You can optimize for TV, web, mobile, and tablet experiences — everywhere your audience is. Plus, by providing your own apps, you can increase signups by more than 20% over a website alone. You get everything you need from one centralized system, which means one control center, one content management workflow, and one place to build your brand. Get paid for your work, from patron and crowdfunding opportunities to digital sponsorships and subscriptions. How you can develop your own streaming channel. So how do you actually start your own streaming channel? Using a professional service like Endavo’s video distribution automation (VDA) platform has many advantages. As a web-based administrative portal for managing and monetizing digital media, we’ve got the ability to set up your channel, distribution network, apps, subscription plans, workflow processes and much more, to get you established and ready to stream to your fans in no time. Media Management System: Our VDA software is optimized for managing, publishing and monetizing VOD and digital media services across all the OTT platforms and networks. With different platform levels and flexible workflow features, you can customize our application to your exact needs. Content Delivery & Management: From VOD and live streaming workflows to multiscreen delivery and global CDN services, our full support and multi-format delivery is second to none in advanced features. Syndication: With Endavo, you can aggregate creator channels and publish channels to other OTT service providers with multiple pricing models or optimize for social network syndication. Add that to our other commerce opportunities: integrated merchant gateways, rental price and PPV templates, subscription plan management, and integrated advertising – everything you need to be profitable is at your fingertips. Reporting & Analytics: With detailed content delivery and viewing stats, performance and engagement data, media inventory lists, engagement figures, syndication metrics and more, you’ll know exactly where your content is thriving, and where there’s room to improve. As one of the pioneers of this subscription-only platform technology, we’ve built our completely customizable software around empowering small businesses, independent creators, and the viewer to discover the power of over-the-top programming. Based in Atlanta, we believe there’s a lot of opportunity for the little guy to get a piece of the streaming revenue, and that’s exactly why we’re working toward a better streaming standard. From content and branding control to creating apps, we’ve created more than a blank slate—we’ve also built all the tools to take you from start-up to established. Want to explore your OTT options? Get the details here.